The Karnataka election results have led to hectic activities in Bengaluru and New Delhi. 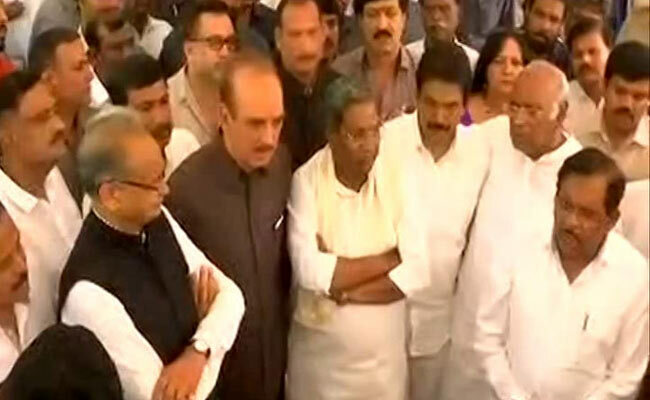 The Congress, JDS and BJP met the Governor to stake claim. 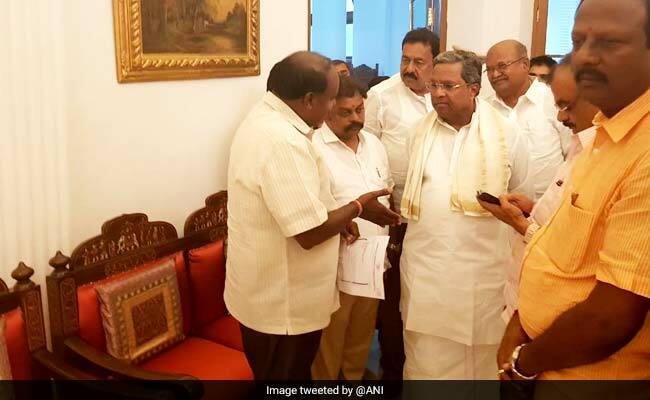 Bengaluru: As the counting closed and the BJP falling short of a majority, all the three main parties - the BJP, Congress and the Janata Dal Secular (JDS) rushed to the Governor's residence to stake claim to form a new government. A desperate Congress made made an open, unconditional offer to HD Deve Gowda's JDS to back the regional party and make HD Kumaraswamy the chief minister. Outgoing chief minister Siddaramaiah and Mr Kumaraswamy spoke to the media after meeting the Governor. "The AICC has decided to support JDS. 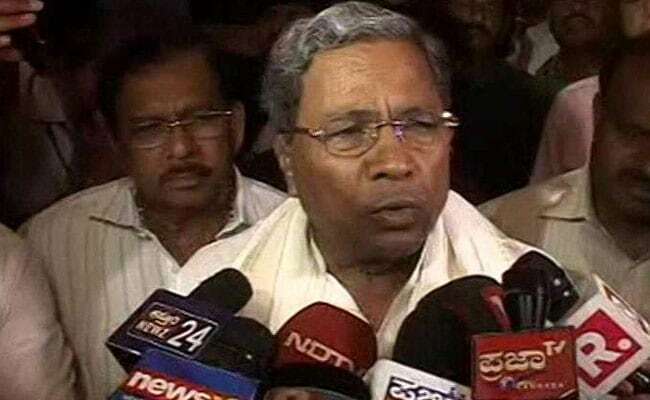 JDS will form government with the help of Congress," Mr Siddaramaiah said. The BJP's BS Yeddyurappa also met the governor, saying he must call the single largest party. Earlier today, celebrations were seen at the BJP offices in Bengaluru, Mysuru, Delhi and other places. BJP workers cheered, burst crackers and chanted "Modi Modi" as they monitored the numbers of giant TV screens. For the election results, votes are being counted for 222 of the 224 assembly seats from 8 am. 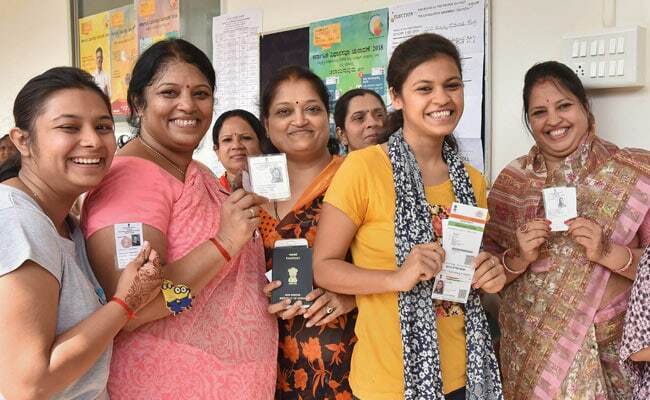 72.36 per cent of the five crore eligible voters in Karnataka cast their votes on Saturday last, a notch above the 72 voter turnout recorded in the 2013 state elections. An aggregate of nine exit polls shows the BJP emerging as the largest party with 97 seats, but well short of the majority mark. The Congress will win 90 seats and regional party Janata Dal Secular or JDS 31, according to the poll of exit polls. On Sunday, Mr Siddaramaiah had said while he is willing to stay on as the chief minister for another term, he would step aside for a Dalit candidate if the party high command so desires. The JDS has said it is the Congress's "responsibility" to reach out if it does not get a majority today. Results for all seats have now been declared for Karnataka elections 2018. 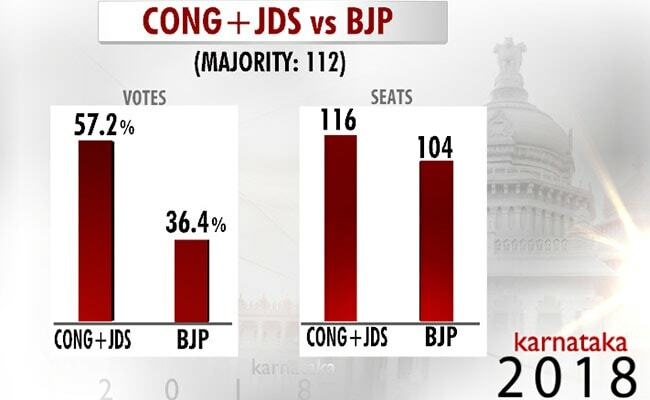 The final tally: BJP at 104, Congress at 78 and JDS along with its alliance partner BSP at 38. One seat went to an Independent candidate, while Karnataka Pragnyavantha Janatha Party won another. 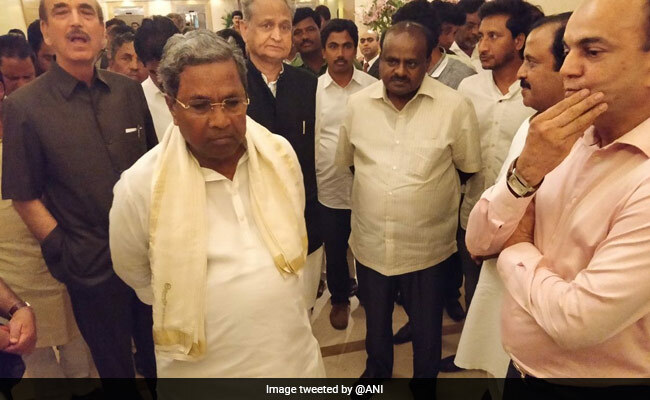 Congress' Siddaramaiah, Ghulam Nabi Azad and Ashok Gehlot seen along with JDS' HD Kumaraswamy after the meeting Bengaluru's Ashoka Hotel. Other leaders of both the parties were also present. After a huddle late at night, Congress leader Ghulam Nabi Azad and JDS' HD Deve Gowda leave Bengaluru's Ashoka Hotel. Other senior leaders of both the parties were also present at the meeting. 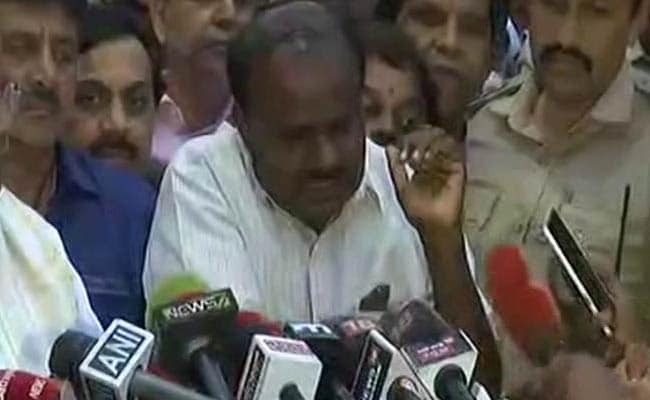 After meeting Congress leaders at a hotel in Bengaluru, JDS leader HD Kumaraswamy says, "As per Supreme Court order, single largest party need not be called. Together Congress and JDS have 117 MLAs, we should be given the first opportunity to form government." Mr Siddaramaiah, talking to media, says, "Have called a meeting tomorrow. All MLAs will attend the meet." 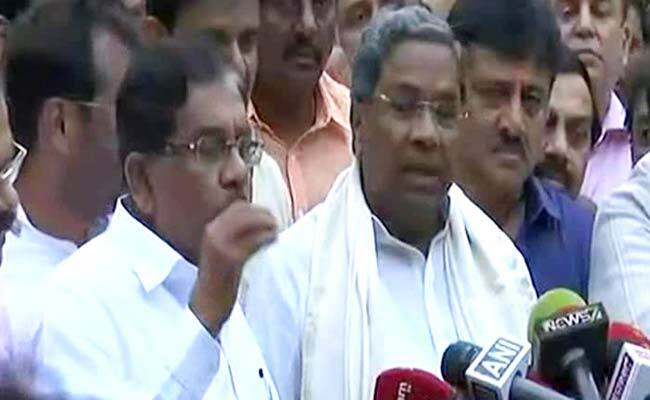 Siddaramaiah talks to media in Bengaluru after meeting HD Devegowda, says, "We have the required numbers." AIMIM Chief Asaduddin Owaisi on Karnataka election results: I spoke to HD Kumaraswamy and congratulated him for his party's victory. I am sure as he will discharge his constitutional responsibility in a better way as compared to his predecessors and Karnataka will progress under his leadership. Hailing the BJP's impressive performance in Karnataka Assembly polls, Haryana Chief Minister Manohar Lal Khattar said today that the party has been marching ahead since 1996 and today nearly three-quarter of the country is ruled by it and its allies. "If we look at the history of the BJP and the strength it has gained today, Congress never gained such strength in its history," Mr Khattar claimed, addressing party workers at the BJP office in Panchkula after returning from a two-nation tour. 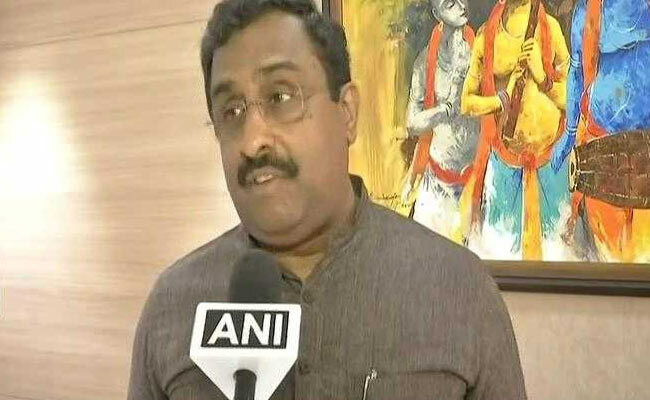 Senior leaders J P Nadda and Dharmendra Pradhan will attend the meeting of newly-elected BJP MLAs in Bengaluru tomorrow as the party's central observers. The decision to send the two leaders to Bengaluru was taken by the BJP parliamentary board today. Senior Congress leader Ghulam Nabi Azad today said if the Karnataka governor invites BJP to form the government, it would mean that he was "openly inviting horse trading, corruption and defection in the parties". AAP candidates forfeited deposit in all 29 seats the party contested in Karnataka, giving yet another jolt to its attempts to spread its wings outside Delhi and Punjab. Prithvi Reddy, AAP's Karnataka convenor, who took on Congress heavyweight KJ George from the Sarvagnanagar Assembly constituency, could barely manage 1,861 votes coming a distant fourth. 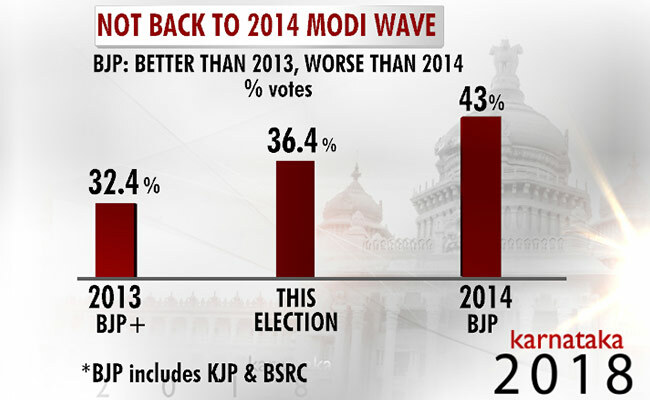 Of the 29 seats, the party had contested 18 in Bengaluru and 11 in the other parts of the state. 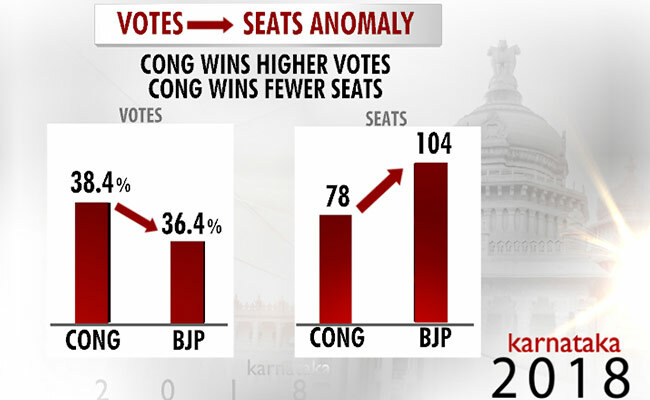 More votes but fewer seats in Karnataka election results. The Congress won 13 Assembly seats and the BJP 11 in Bengaluru, where polling was held on May 12 in 26 of the 28 constituencies. Among the Congress winners are outgoing cabinet ministers K.J. George, Ramalinga Reddy, R. Roshan Baig and Krishna Byre Gowda. The BJP winners include former ministers R Ashoka, S Suresh Kumar, and Arvind Limbavalli. 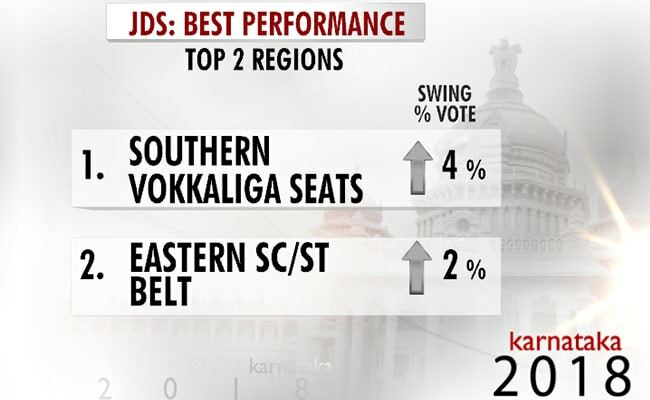 The JDS won the remaining two seats, where it defeated two BJP candidates. 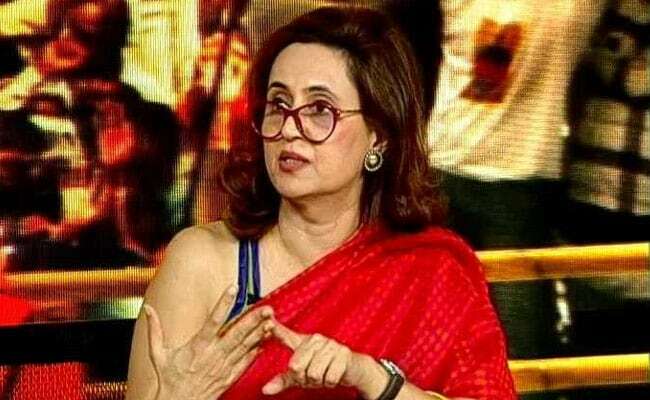 Speaking at NDTV's special election analysis, senior journalist Sagarika Ghose says, "The Congress dream of fighting the BJP alone is over. I think the Congress and the JDS will be able to hold their alliance. I don't see where the BJP will find the other MLAs without dubious horsetrading." 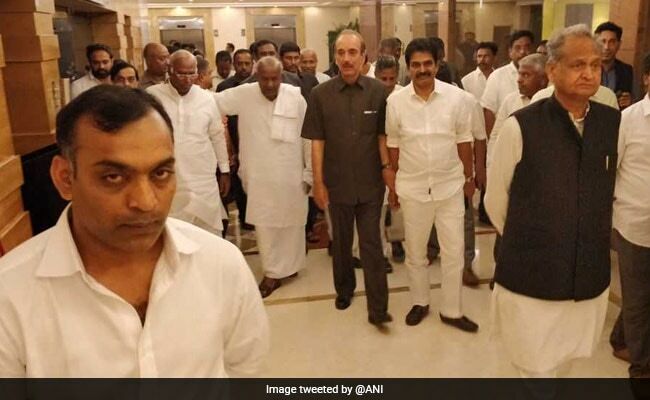 JDS' Deve Gowda and Kumaraswamy meet Congress leaders including Siddaramaiah, Ghulam Nabi Azad and Mallikarjun Kharge in Bengaluru. 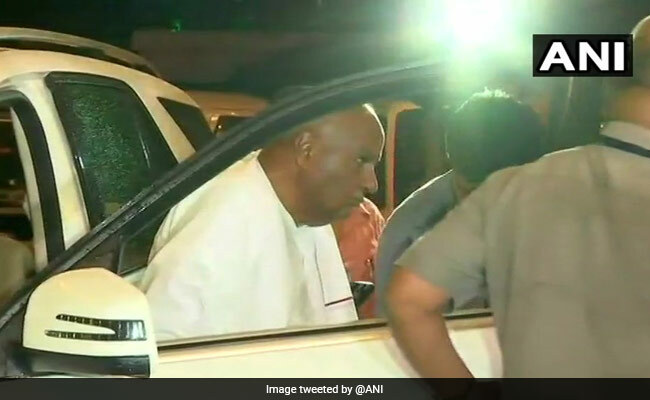 JDS' Deve Gowda reaches Bengaluru's Ashoka Hotel to meet senior Congress leaders. 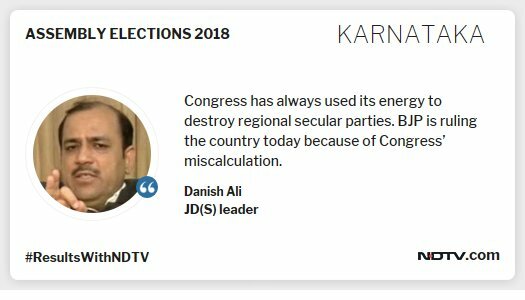 Danish Ali of JDS says that more than him, Ghulam Nabi Azad was instrumental in stitching the post-poll alliance. "I hope all regional, secular parties can come together to fight the BJP," he adds. "I am the person who acted as a contact between the two parties for the post-poll alliance," says JDS' Danish Ali. He adds that he met Congress leader Ghulam Nabi Azad three days ago after a television show and that was where the conversation started for a coalition. 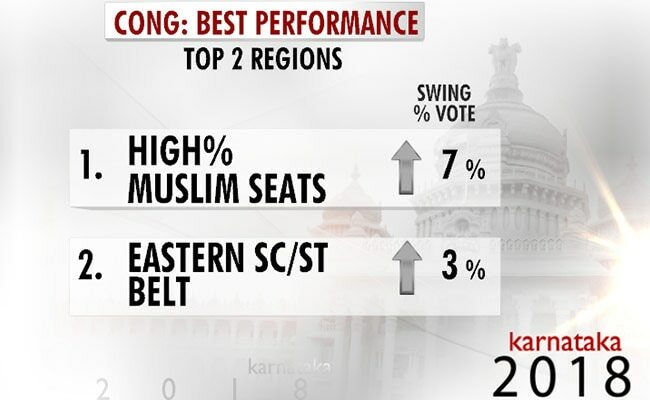 Congress performed best in these 2 regions in this year's Karnataka elections. 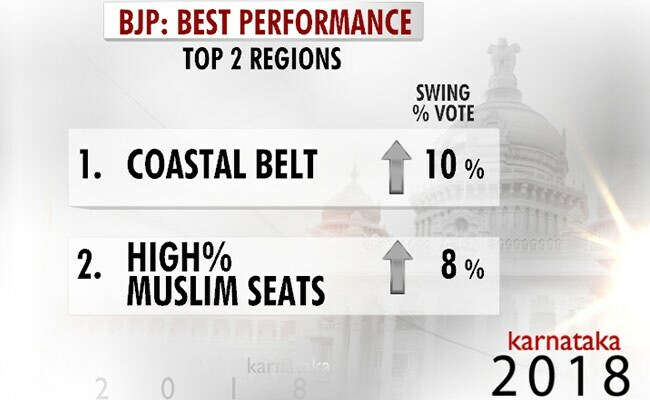 BJP performed best in these two regions in Karnataka elections. CPI(M) General Secretary Sitaram Yechury today said the single largest parties in Goa, Manipur and Meghalaya were not invited to form government and the same rules should be followed in Karnataka. "BJP govt appointed Governors didn't invite Single Largest Party in either Goa, 2017 (INC, 17 out of 40 seats), Manipur 2017 (INC 28 of 60) or Meghalaya 2018 (INC 21 out of 60). Union ministers gave arguments supporting them. The precedent is there to follow, right?" Mr Yechury wrote on Twitter. Uttarakhand Chief Minister Trivendra Singh Rawat today described the BJP's impressive poll performance in Karnataka as the triumph of Prime Minister Narendra Modi's development model, reports PTI. Mr Rawat joined in the celebrations at the BJP's state office after the results of the Karnataka assembly polls were announced. 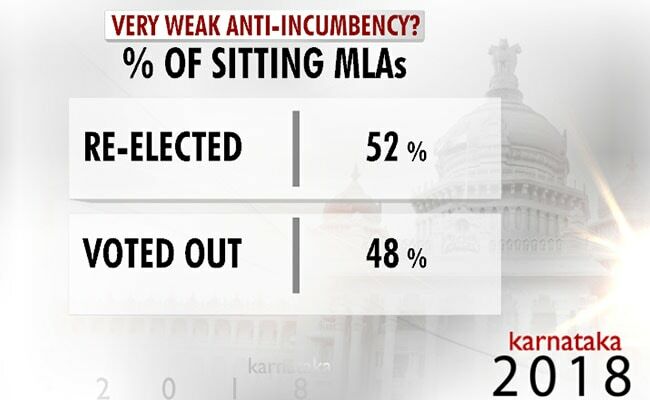 Party-wise breakup of sitting MLAs re-elected in Karnataka elections. "This is the 371st election India has held": Prannoy Roy decodes Karnataka election results. Live stream here. How the BJP has performed in this election vs the last two elections. 52% of the sitting lawmakers were reelected while the rest were voted out. BJP's legislature party will meet tomorrow at 10.30 am in Bengaluru. The meeting under the presidentship of its state unit chief B S Yeddyurappa is likely to elect him as the new leader of the BJP legislature party, news agency PTI quoted party sources as saying. Heavy rains lash Bengaluru bringing down temperatures. 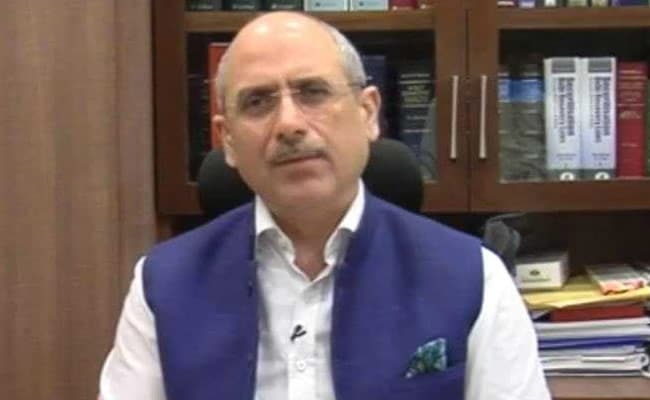 At the special election analysis of Karnataka election results, BJP leader Nalin Kohli says, "The ultimate test is on the floor of the house. But who to call is the call of the governor, there is no straight-jacket answer." 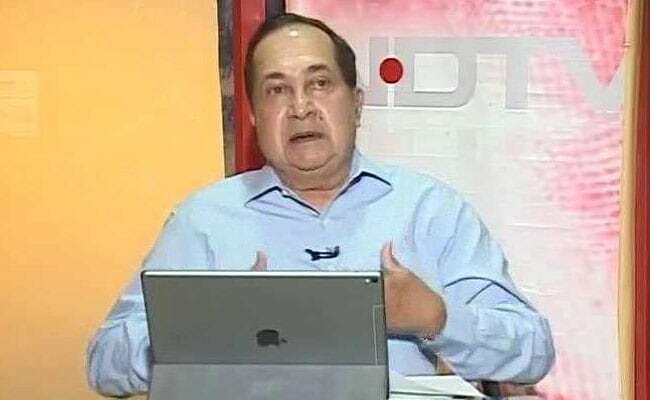 Senior journalist N Ram says, "I'm not happy with the Congress participating in the government having lost the election. But if there's a post-poll alliance, there is no reason to deny them that." 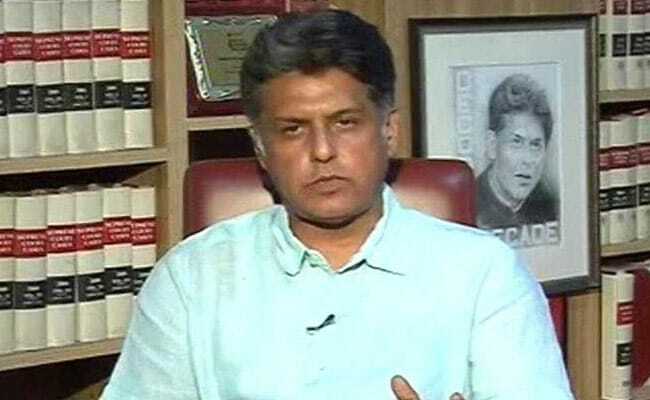 Congress leader Manish Tewari, while speaking to NDTV, says, "The governor has a single-largest party which is short of the halfway mark and a post-poll coalition which is over the halfway mark. So the governor should call the coalition that is over the halfway mark." "A big thank you to all those who voted for the Congress in these elections. We appreciate your support and will fight for you. Thank you also to our workers and leaders for their dedication & untiring hard work in support of the party," said Rahul Gandhi in a tweet. Mr Salve, speaking at NDTV's special election analysis, says, "One thing I do not want is for courts to intervene. I have serious misgivings about that." Biocon Chairperson Kiran Mazumdar Shaw reacting on Karnataka election results says, "If Congress and JDS have the numbers, so be it. The BJP will be a strong opposition. That will be in everyone's interest." 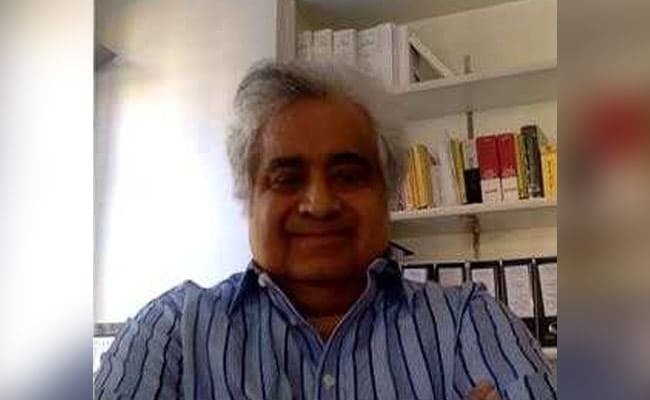 Eminent lawyer Harish Salve on Karnataka election results: The governor has to meet each of the three parties and see if they have a firm basis for their stand. Governors cant be the judge of whether an alliance is unprincipled or if the numbers add up. Perhaps the most exciting aspect of election results is that they are invariable full of surprises. And phew do we have a humdinger of a surprise this time. It's turned out to be a real thriller. The game of thrones in real life. Most important is that it is these times of uncertainty - how will our politicians behave. With dignity and will they honour our country's institutions - or will there be horse-trading - and the demolition of the pillars of our democracy. The politicians should know - The people of India are watching. 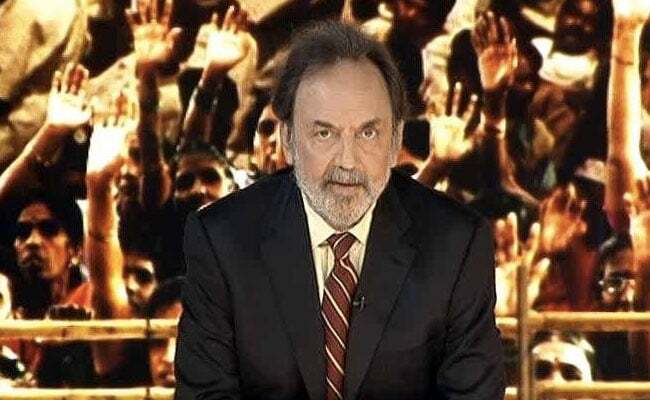 The world is watching: Prannoy Roy on Karnataka election results. Watch live here. Prannoy Roy and his team of experts decode Karnataka elections. 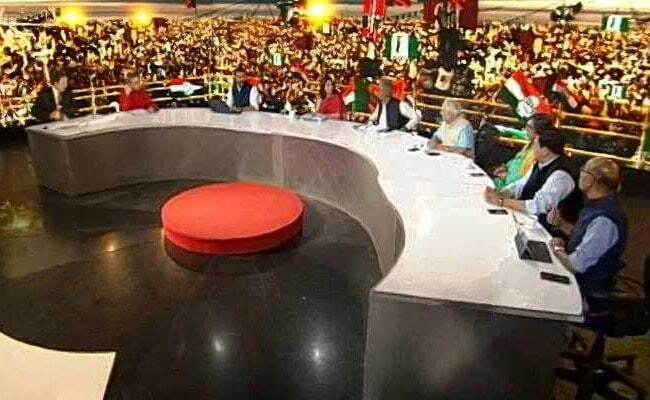 You can watch NDTV's special election analysis here. The person whose tireless work and exceptional strategy has propelled us to one victory after another; Amit Shah. PM Modi is about to speak. Half of your cabinet lost and you call this a victory? 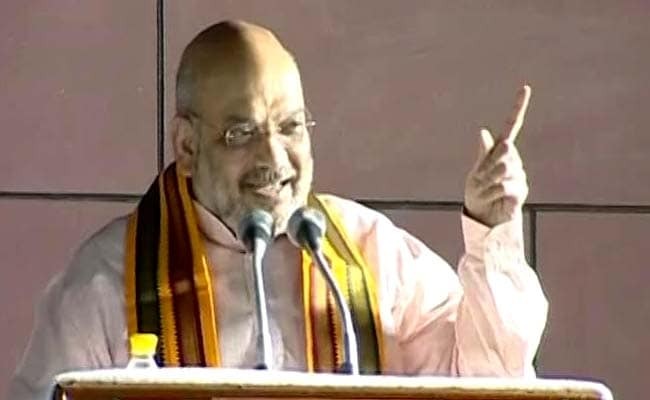 Karnataka Election Result: Amit Shah brings up the issue of "fake" voter IDs found in Bengaluru. PM Modi and Narendra Modi smile at the crowd. PM Modi walks upstairs and waves at the crowd at the BJP headquarters. Prime Minister Narendra Modi reaches BJP headquarters. Amit Shah and other leaders welcome him. Karnataka Election Results: According to sources, Karnataka Governor has told all party leaders that he can't take decision unless the Election Commission hands over the certified copies of elected legislators to him. Results for only 8 seats are pending. The last round of counting is on. As election results plunged Karnataka into a political game of thrones, the man who is set to make the most important decision is Gujarat veteran Vajubhai Vala, 80. Vajubhai Vala -- a former RSS man who joined the BJP in Gujarat and became its president twice -- was appointed Governor of Karnataka in 2014. 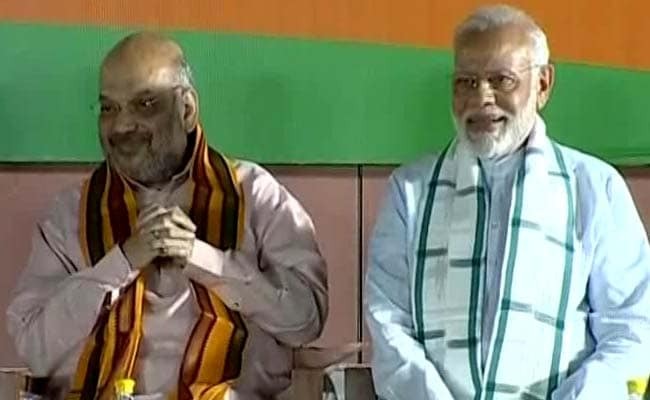 Karnataka Election Results: Amit Shah reaches BJP headquarters in Delhi to a rousing welcome. 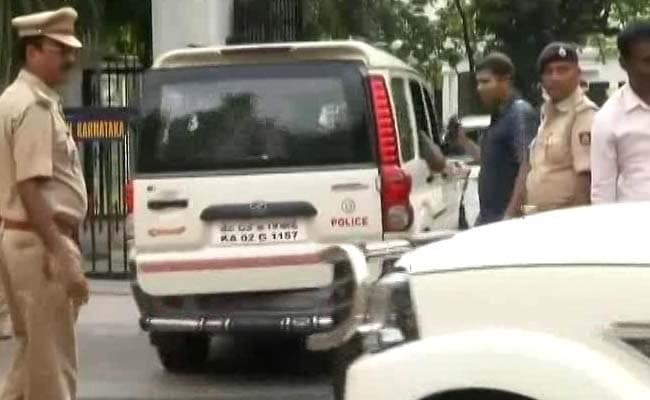 Amit Shah has left his home for BJP headquarters. Sushma Swaraj reaches the BJP office. Amit Shah tweets on Karnataka election result: I thank people of Karnataka for voting BJP as the single largest party. This mandate clearly reflects that Karnataka has rejected Congress's corruption, dynastic politics and divisive casteism. Rajnath Singh reached BJP headquarters in Delhi. 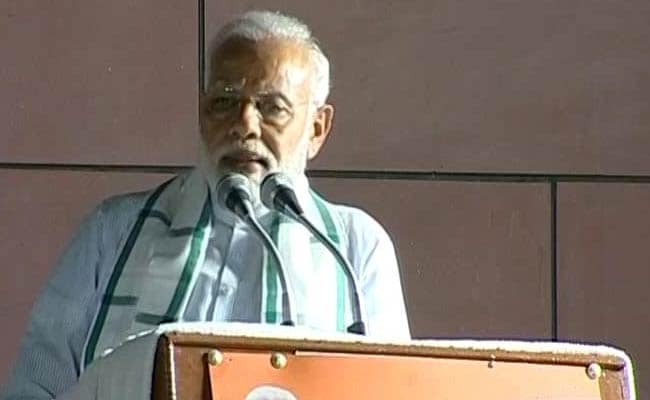 Prime Minister Narendra Modi tweets: I thank my sisters and brothers of Karnataka for steadfastly supporting the BJP's development agenda and making BJP the single largest party in the state. I salute the stupendous work of @BJP4Karnataka Karyakartas who toiled round the clock and worked for the party. 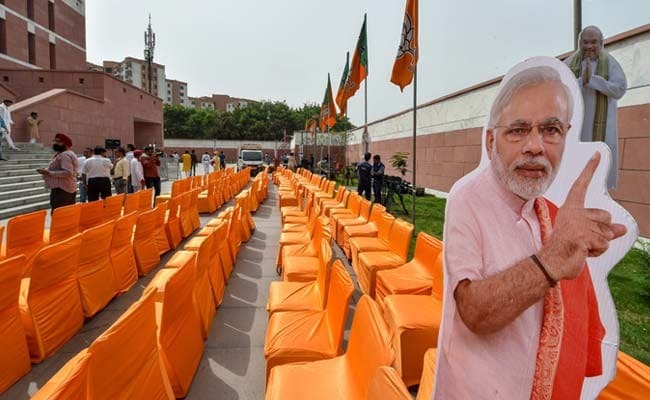 Karnataka Election Result: Meanwhile, at the BJP headquarters in Delhi, swift arrangements are being made with sound checks, stage arrangements, etc. 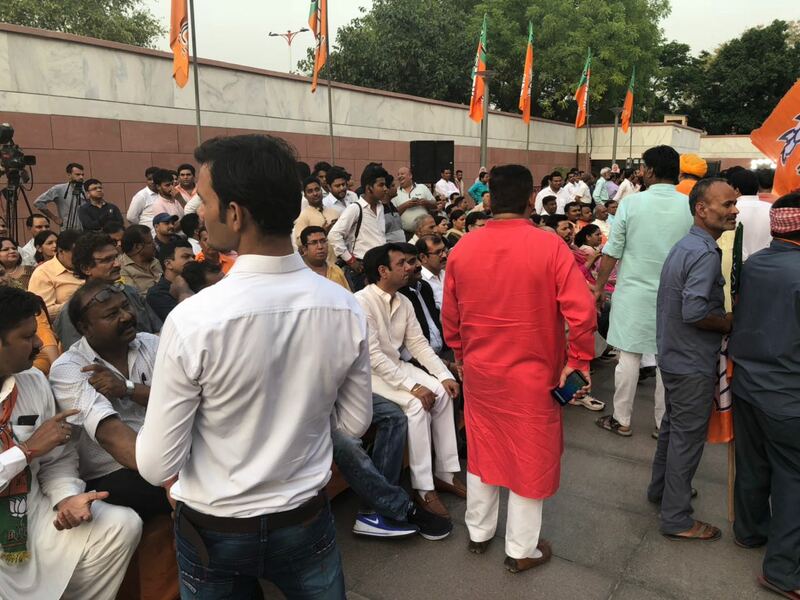 BJP workers have gathered at the office. HD Kumaraswamy: We have submitted a letter to the Governor so as to form government with the support of Congress. We have both submitted letters so as to seek the permission of the governor. Siddaramaiah: The stands of both our parties are clear. We have more seats than the magic number, both of us put together. We have two independent candidates also on our side. Siddaramaiah after meeting the Governor: AICC has decided to support JDS. JDS will form government with the help of congress. Siddaramaiah and G Parmeshwara are addressing the media at Raj Bhawan. Karnataka Election Result: BJP parliamentary board to meet at 7 pm at party headquarters in Delhi, reports ANI. 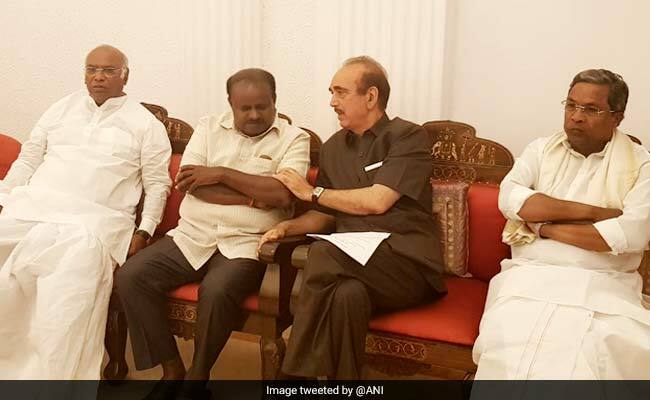 Karnataka Election Result: A telling picture of senior Congress leader Ghulam Nabi Azad speaking to HD Kumaraswamy as they wait outside the Governor's office. Ousted chief minister Siddaramaiah sits away from Mr Azad. Visuals of HD Kumaraaswamy and Siddaramaiah meeting inside the Governor's official residence. 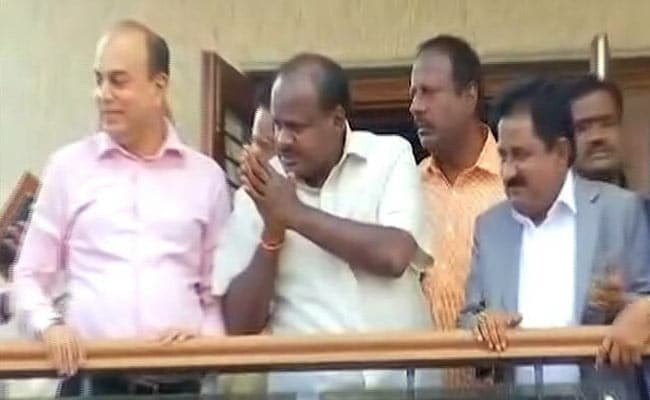 Karnataka Election Results: HD Kumaraswamy of the JDS is already at Raj Bhawan. 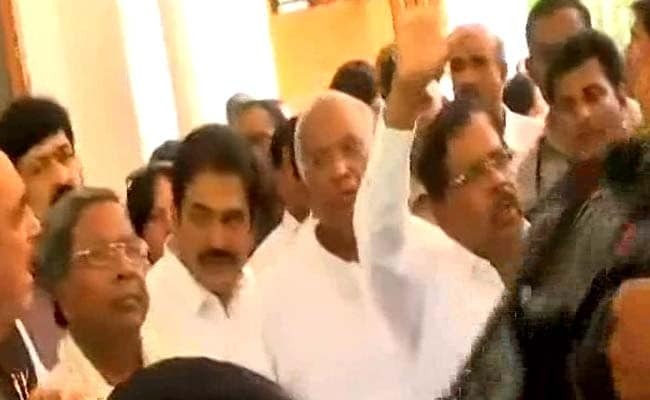 BS Yeddyurappa: We have come here to Raj Bhavan to seek claim. We need to get a chance to prove our majority and that is what we are here to do. No time has been given to us. We just want a chance to prove majority on the floor of the house. 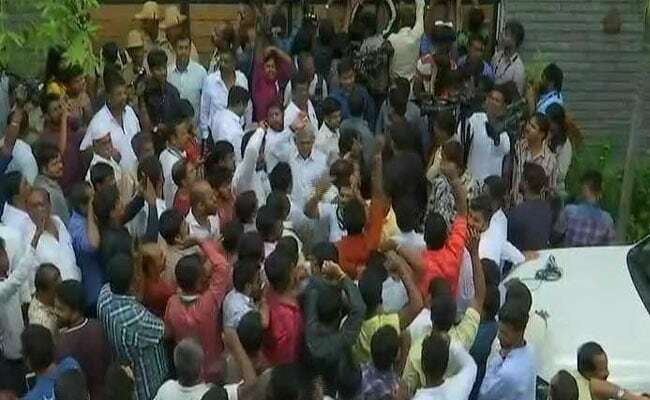 Karnataka Election Results: BS Yeddyurappa gets a week to prove majority, say local channels in Karnataka. Mamata Banerjee called HD Devegowda and congratulated him. In the phone call, Ms Banerjee said that she was hopeful that JDS would form government in Karnataka with the support of Congress. West Bengal Chief Minister Mamata Banerjee speaks to HD Devegowda, reports NDTV's Monideepa Banerjie. BJP's chief ministerial candidate B S Yeddyurappa and Ananth Kumar reaches Governor's House to stake claim to form government in Karnataka. Karnataka Election Results: Congress leader Ghulam Nabi Azad says, "Since we don't have the numbers alone, we have decided to join hands with JDS. Because we were in power and we lost, we have let JDS choose a chief minister." He adds, "Congress and JDS has 117, we need 111 to form the government." Celebrations outside HD Devegowda's house in Bengaluru as the party gets ready to stake claim to form next government in Karnataka. 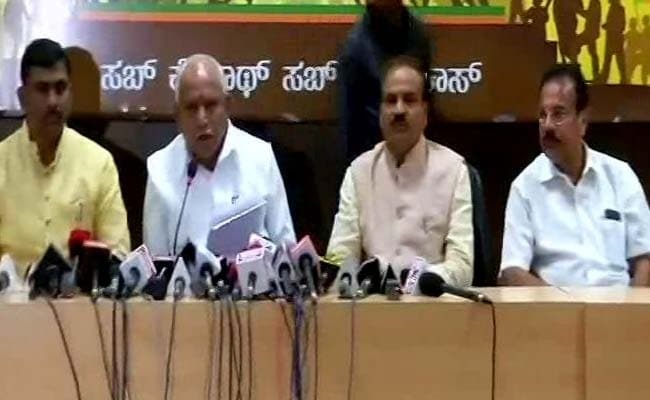 BJP's chief ministerial candidate B S Yeddyurappa says that he has sought appointment from Governor Vajubhai Vala. "Being the single largest party, we must form government. Anant Kumar, PC Mohan and I will be going to meet the governor," says Mr Yeddyurappa. Karnataka Congress leader DK Shivakumar reaches Governor's House along with an Independent MLA. "I am here with our Independent MLA, whatever the high command has taken decision, we abide by it. We want to secure government in Karnataka," says Mr Shivakumar. 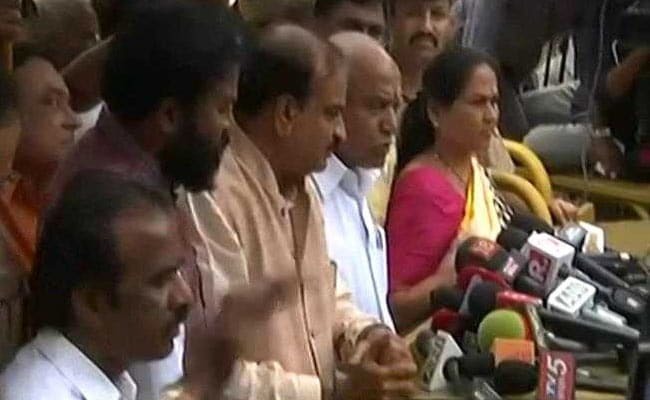 JDS spokesperson has reached Governor's House in Bengaluru to seek appointment between 5:30-6pm, reports NDTV's Sneha Mary Koshi. 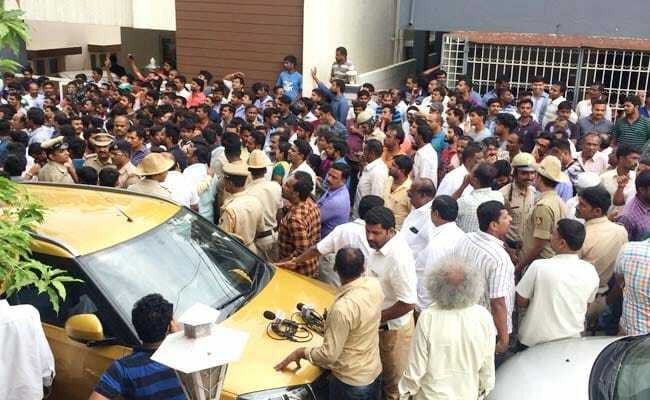 Scenes from outside HD Devegowda's house in Bengaluru. HD Kumaraswamy greets JDS supporters. Siddaramaiah's convoy entering the Governor's residence. With the BJP short of an outright majority in Karnataka, the Congress is making a bid to form the government and has quickly arrived at an understanding with former prime minister Deve Gowda' regional party, the Janata Dal (Secular) or JDS. Both teams have agreed that HD Kumaraswamy, who is Mr Gowda's son, will be the Chief Minister of a coalition government and that the Congress will get to name a Dalit leader as his deputy. What happens next depends entirely on the governor of the state, Vajubhai Vala, who was appointed by the centre four years ago. "Congress is trying to come back to power from backdoor," says BS Yeddyurappa. Congress and JDU have got howmany ever seats, but BJP is leading. Karnataka has given the mandate of Congress free Karnataka. From the blessings of people we have emerged as single largest party. Anti-incumbency is so strong. "People of Karnataka have voted for change," says Mr Yeddyurappa. BS Yeddyurappa addresses the media. 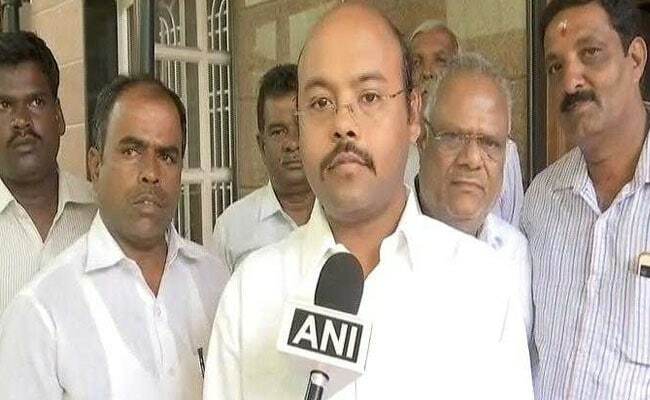 Karnataka Election Result: Siddaramaiah's son Dr Yathindra wins Varuna seat with over 13,000 votes. BJP's Thotadappa Basavaraju got 5,159. Siddaramaiah leaves for Raj Bhavan to meet the Governor. BJP wins Shirahatti - a constituency that has always picked the winning party and is taken as a predictor with fair accuracy. Ramappa Sobeppa Lamani has won the seat with over 91,000 votes. The Congress came a distant second with over 61,000 votes. Karnataka Governor Vajubhai Rudabhai Vala now to decide who will get first shot at proving their strength - the BJP or the Congress-Janata Dal Secular combine. 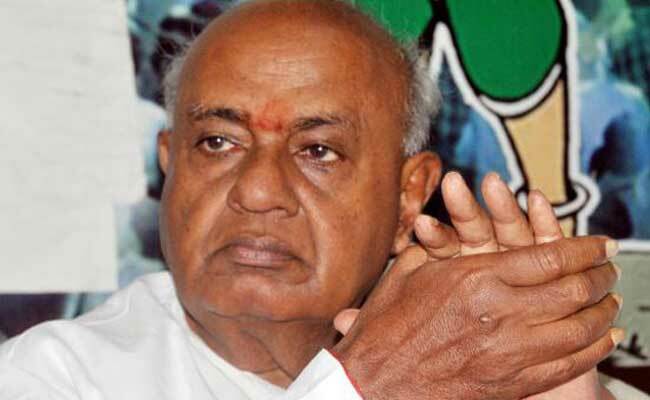 HD Deve Gowda will reportedly stake claim to form the new Karnataka government at 5.30 this evening. Senior Congress leader Ghulam Nabi Azad said, "We have had a telephonic talk with Deve Gowda and Mr Kumaraswamy and they have accepted it. Whoever JDS will decide, will head the government and then we will go to governor and give this in writing." Sensex ends flat after nearly 500-point swing, amid uncertainty over government formation in Karnataka. Janata Dal Secular chief HD Kumaraswamy's quick trip to Singapore during the weekend had fuelled speculation that the JDS is in talks with the Congress and the BJP. 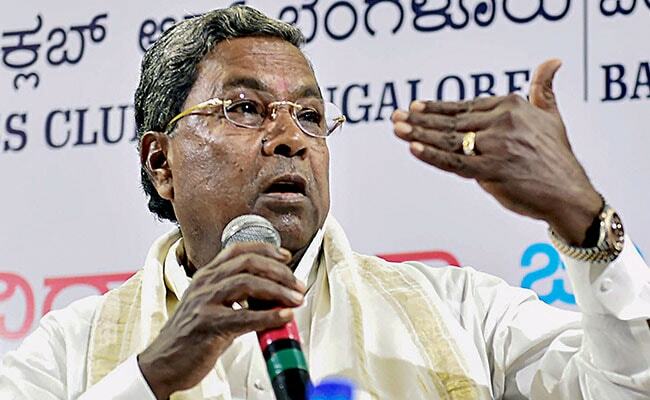 Siddaramaiah loses Chamundeshwari seat. He lost to Janata Dal Secular (JDS) rival GT Deve Gowda in his home district of Mysuru by a huge margin of 36,042 votes. Siddaramaiah wins Badami seat. with over 67,000 votes. BJP's B Sriramulu loses the seat. I will look at all possibilities. A lot of people have blessed us with their votes. I do not want to discuss about JDS and Congress. I will consult all-Indian leaders and make the decision accordingly. We are to decide something. Friends, Congress thanks its voters. We thank the people for their verdict and we accept their mandate. Parties cannot, most often, win on its own. Sometimes we need to take support and help from fellow parties. So we have decided to join hands with JDS. Our decision is that we will lend our support to JDS. We are yet to decide on the Chief Minister. G Parmameshwara is speaking now. Firstly, we thank the voters of state. Chief Minister Siddaramaiah appears before the media along with state Congress chief G Parameshwara, Mallikarjun Kharge, Ghulam Nabi Azad and other leaders. 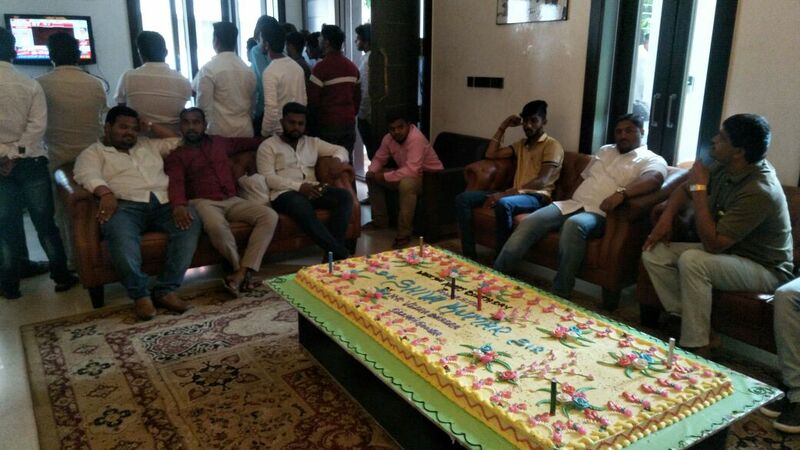 Even before the results are out in Karnataka, the BJP had enough reasons to celebrate. One of them was that it was winning in Shirahatti - a constituency that has always picked the winning party and is taken as a predictor with fair accuracy. 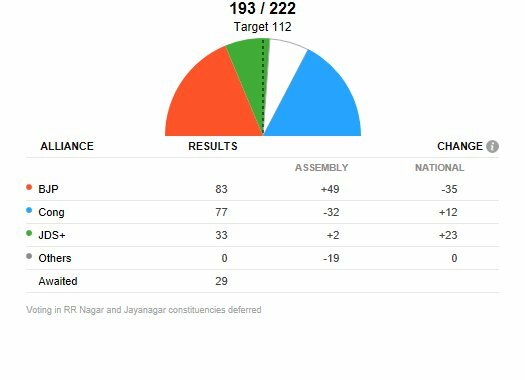 Karnataka Election Result: The Congress has won 19 seats so far, the JDS has won 5. The BJP has won 45 seats so far. 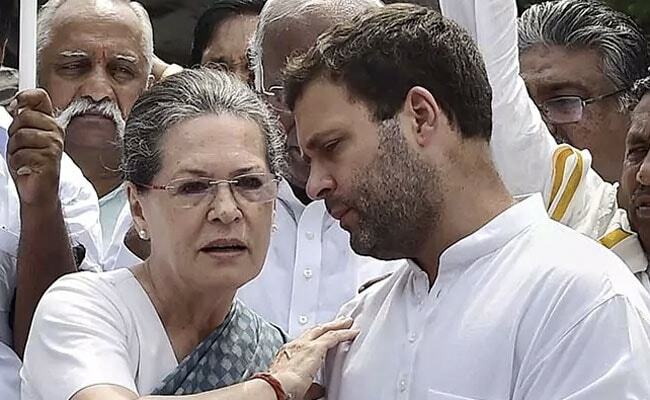 Sonia Gandhi has spoken to HD Deve Gowda of the JDS about Congress' offer. No official word from JDS yet on Congress' offer to support a JDS government from outside. Congress says ready to support JDS, makes an open offer to HD Deve Gowda's party to lead a new government. Congress sources say the party is ready to support the JDS or Janata Dal Secular. 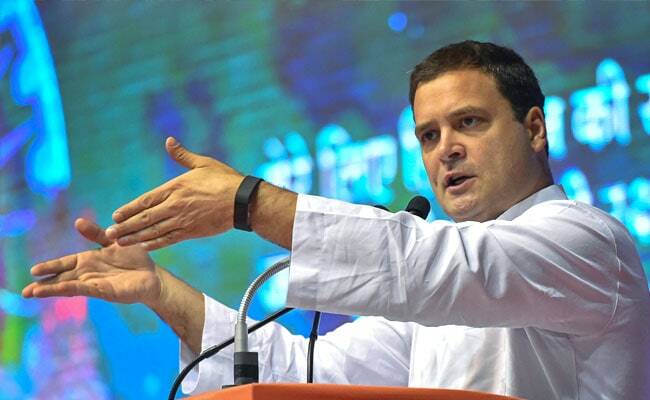 Rahul Gandhi addressed 38 rallies in Karnataka and peppered his campaign with visits to temples and mutts. 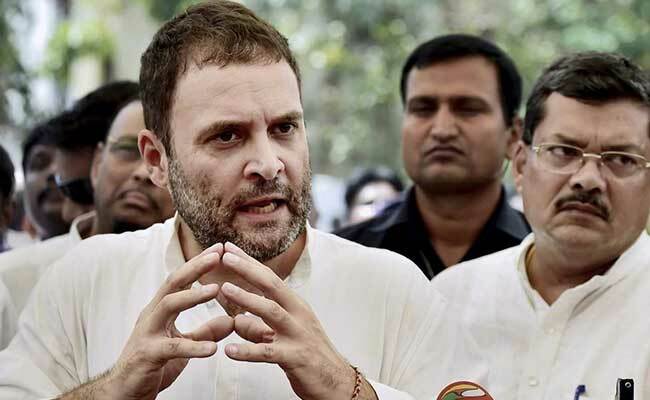 After one more crushing defeat in Karnataka, the Congress moved to ring-fence its president Rahul Gandhi from any blame. 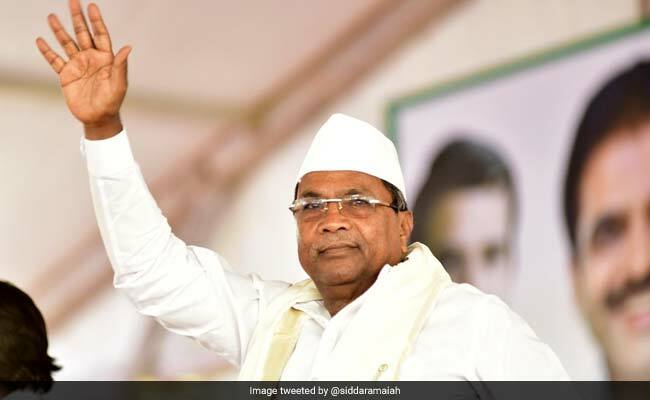 A senior Congress leader in Karnataka lashed out at Chief Minister Siddaramaiah, alleging that his arrogance cost the party. Chief Minister Siddaramaiah is trailing in Badami. 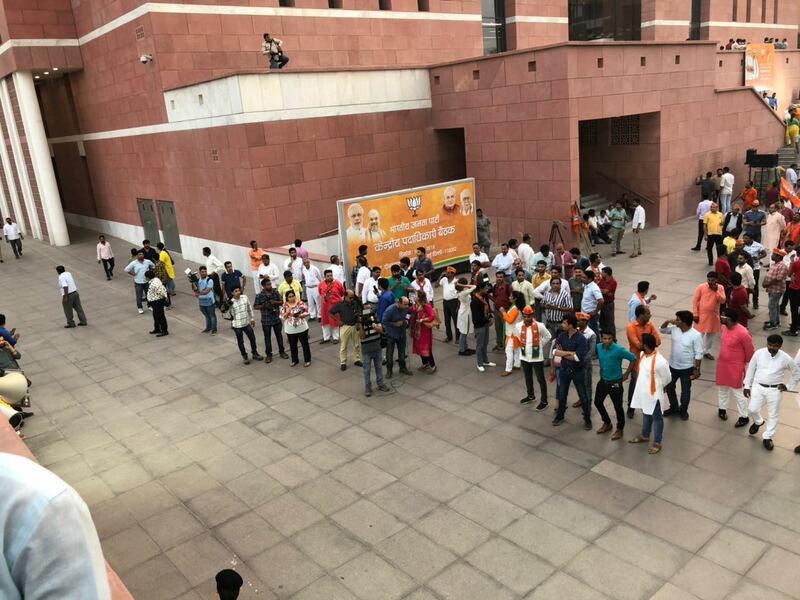 Behind-the-scenes: The BJP has brought in a wedding band called 'Sohan Band' that is making all the celebratory noise at the national headquarters in Delhi. 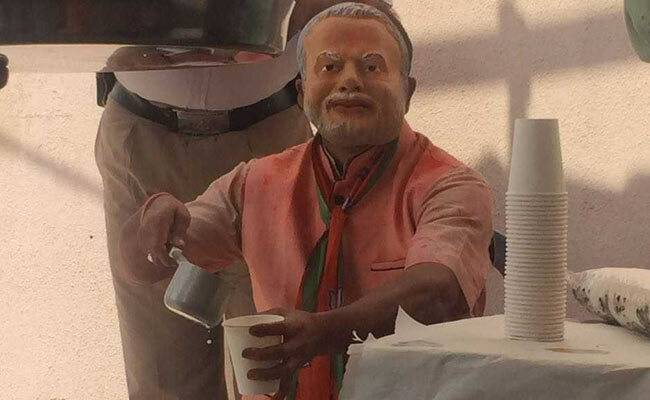 Beat The Heat: Maya Sharma spotted this man wearing a Narendra Modi mask, serving buttermilk at the BJP office in Bengaluru. HD Deve Gowda's regional party JDS has done better than the last time and is heading for a bigger number than the Congress would have hoped. But the regional party will not get to play kingmaker, with the BJP winning a decisive victory instead of the hung verdict projected by exit polls. 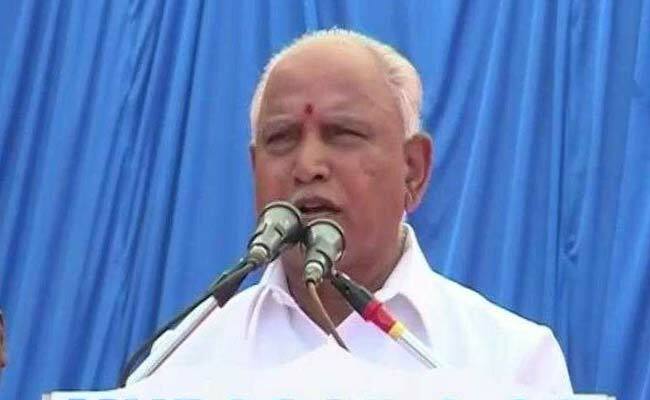 BS Yeddyurappa wins Shikaripura in Shivamogga with close to 87,000 votes. Nearly 48 hours before the elections, Mr Yeddyurappa, 75, said his party will win 125 to 130 seats in the state - a prediction that flew in the face of the exit poll results that suggested a split verdict in the state. He had also rattled off a detailed itinerary for after the elections to reporters, which ended with a date for his oath ceremony. Credit should go to people of state. PM Modi worked very hard, he is a popular leader, his hard work has paid off. Amit Shah placed an excellent strategy. Sangh Parivar cadres helped us enormously. TDP and Chandrababu Naidu used all means to get voters to vote against BJP. But out of 40, BJP more than 20. Shows BJP cadres worked hard, that Telgu people have rejected Naidu's misleading campaigns. Congress and Rahul Gandhi need to instrospect. They never do it. Need to think about leadership problem they are facing. Chhattisgarh chief minister Raman Singh declared Congress missing and announced a 'search operation'. "Now there will have to be a 'Congress khojo abhiyan' ('Find Congress' campaign) in the country. Who knows where they will end up?" said Mr Singh, a three-time Chief Minister who was among the long list of BJP heavyweights to campaign in Karnataka. 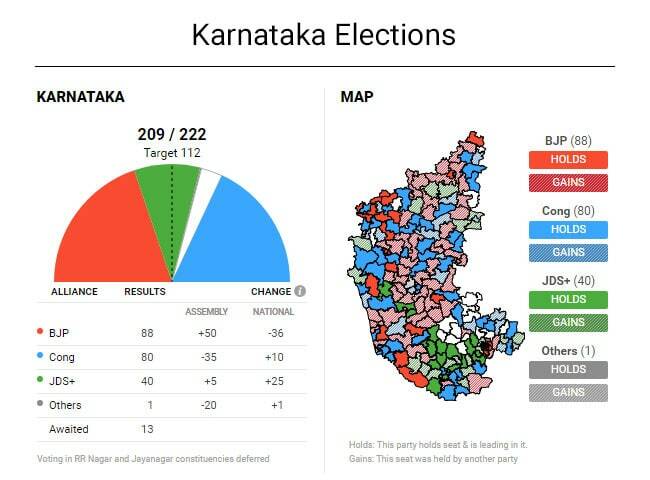 Karnataka Election Result: The BJP has won in 17 seats so far and the Congress has win in 4. JDS has opened its account with a single seat. 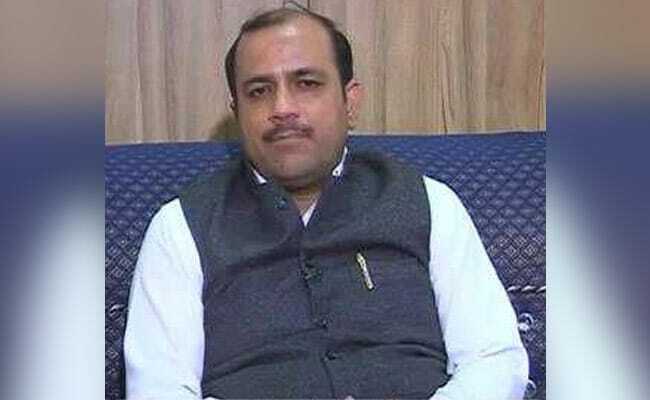 Karnataka Minister KJ George to NDTV: We have to analyse the defeat. Ultimately it's voters' decision. BJP workers in celebration mode in Varanasi. Karnataka Election Result: The flowers, buntings and the caterers streamed into the BJP headquarters in Delhi today as the party looked set to win easily in Karnataka, one of the last big states ruled by the Congress. Makings of a big feast were visible as stacks of plates were carried into a hall at the BJP's brand new building in central Delhi. We are humble, we are happy. Our salute to the people Karnataka. The BJP's victory was comprehensive. The divisive campaign of the Congress against my party and leader failed. It is the wider narrative of PM Modi - performance, delivery, incorruptibility - worked. It is a rejection of the arrogant claim of the entitlement, of those who said they are ready to become Prime Minister. Siddaramaiah himself is seen losing. Makes you think you should read the people's mood better. 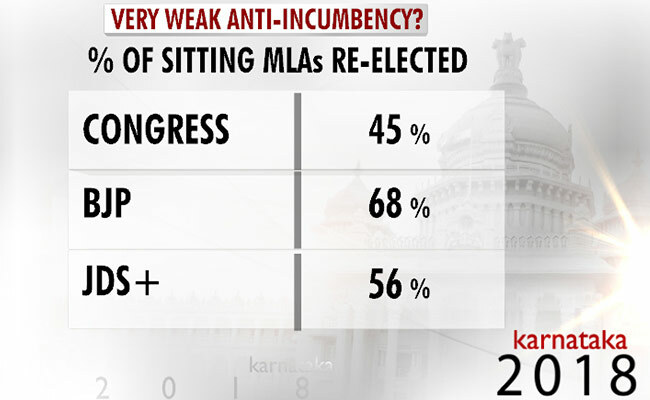 In the outgoing assembly, the Congress had 122 seats, BJP and JDS 40 each, and smaller parties and independents 22. 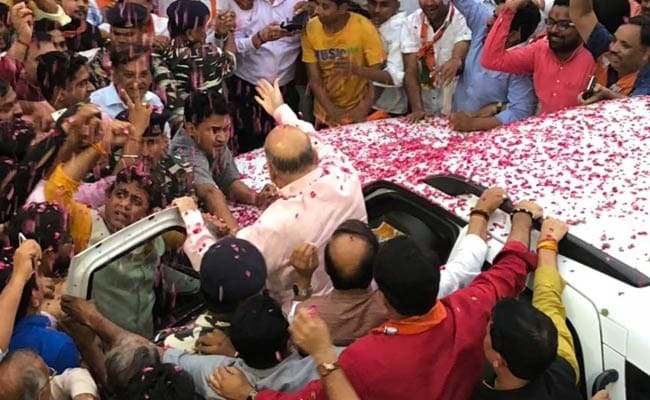 Prime Minister Narendra Modi has delivered a huge win for his party today, proving that his popularity remains undiminished in an election that was seen as a primer for the national election next year. Karnataka has voted out the Congress government of Chief Minister Siddaramaiah; the party now runs just three states in the entire country; the BJP governs 21 of 29. The result is a colossal failure for Rahul Gandhi, who was promoted to Congress president a few months ago. BJP parliamentary board to meet at 6 pm at the party headquarters in Delhi. 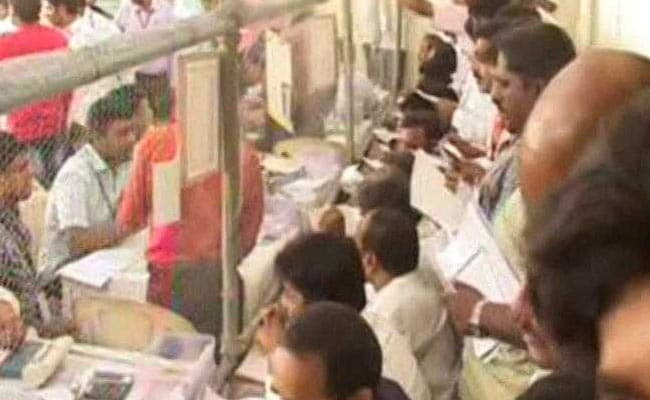 Election for Bengaluru's RR Nagar seat was deferred after nearly 10,000 voter IDs were found in an apartment. The BJP has accused the Congress of attempting to rig the polls.Election in Jayanagar seat has been postpostponed following the death of the BJP candidate. Chief Minister Siddaramaiah of the Congress is giving a tough fight to the BJP's B Sriramulu in Badami. 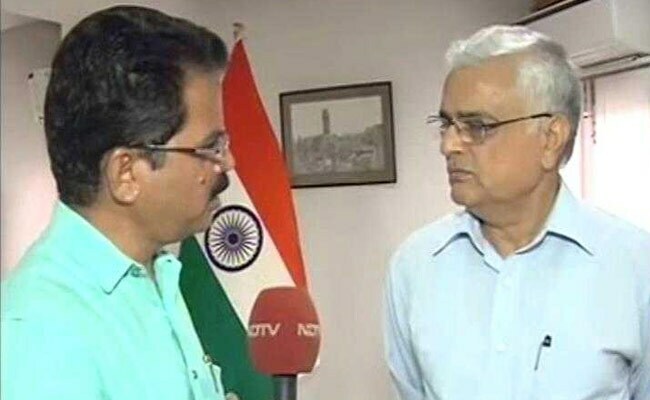 The BJP's Seshadri Chari said that Congress made a number of mistakes during campaigning. "They wanted to divide the society between Lingayats and others. They spoke about Dalits, they flip-flopped on JDS. They ran a bad campaign," he said. Karnataka Election Result: BS Yeddyurappa is expected to leave for Delhi later this afternoon. The 75-year-old presumptive chief minister who headed the BJP's first governmentin Karnataka in 2008, has already declared a "date" for his oath ceremony. This morning, he was seen performing a puja before the counting votes began. Mr Yeddyurappa, who is contesting from Shikaripura, the constituency in Shivamogga, is leading and is oevr 20,000 seats ahead of the Congress candidate. We spotted an upbeat Ravishankar Prasad sharing sweets with Nirmala Sitharaman. "Today is a historic day for BJP," Ms Sitharaman told reporters. Karnataka Congress's DK Shivakumar admits defeat, says numbers indicate party on its way out. Karnataka Election Results: "Modi, Modi" chants in the air at the Karnataka BJP headquarters in Bengaluru where workers have put up giant screens and cut outs of PM Modi at Bengaluru BJP office. Upbeat BJP workers dance in celebration. BJP leader Shobha Karandlaje is speaking. Speaks of "Congress Mukt Karnataka". Karnataka Election Results: More celebrations outside the BJP office in Bengaluru. 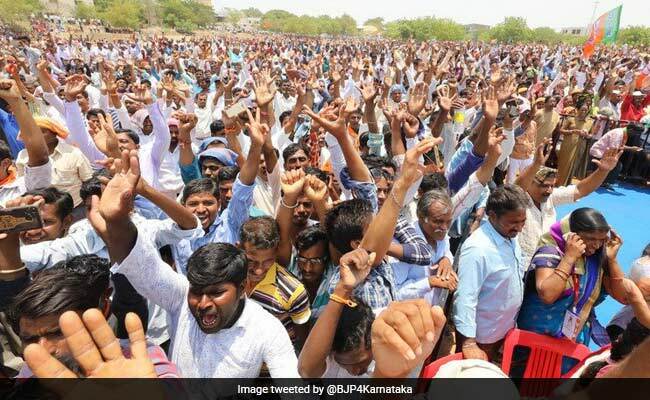 The BJP's gains also indicated that the Lingayats have remained with the party despite Chief Minister Siddaramaiah of the Congress announcing minority status to them as members of a separate religion. A little over three hours into counting, the BJP is racing close to 112. Senior Congress leader from Karnataka Veerappa Moily: Not worried at present. Let's wait till 11-11:30. Can't say at this point who is going to make the magic figure of 112. Too early to concede defeat. BJP chief Amit Shah will go to the party office in Delhi after 1 pm. 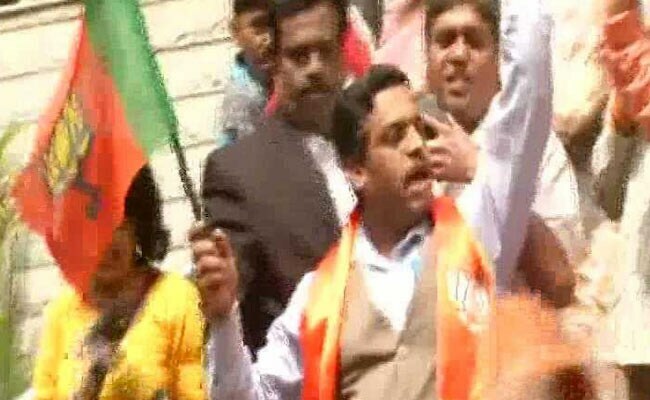 BJP workers are celebrating outside the party's headquarters in Bengaluru. The BJP's chief ministerial candidate, BS Yeddyurappa, is ahead in Shikaripura, and JDS state president HD Kumaraswamy in Ramanagara. Reversing early losses, the Sensex and Nifty moved higher as BJP pulled ahead in Karnataka elections, according to early leads. Markets had opened flat as early leads indicated Congress and BJP locked in close fight in Karnataka, where votes were cast on Saturday. Senior Congress leader Ashok Gehlot: We are forming the government. It was the first state where we did not have any anti-incumbency. These are early trends. We are confident we will get a complete majority. If we don't, all options are open. You can align with parties with similar principles and ideologies. NDTV takes the cameras in counting centre of Padmanabangara to show LIVE visuals as votes get counted for Karnataka election 2018. Winning the Karnataka elections would help boost the morale of the Congress. Karnataka is the only big state it rules apart from Punjab. A defeat may further slowdown the momentum for the party. Karnataka Assembly Election Results: It would be clear soon whether the voters in Karnataka have given their verdict decisively as being claimed by the Congress, BJP and JDS, or for a hung assembly as projected by a majority of the post-poll surveys.The counting is going on at 38 counting centres across Karnataka, amid high security. Exit polls have been strangely divided in Karnataka; six have predicted that the BJP will be the single largest party, three vouch for the Congress. Only three say there will be a clear winner, while the rest predict a hung assembly. A party needs 112 to form the government. Hectic activity at this counting centre in Bengaluru. It is Congress strongman DK Shivakumar's birthday today. Supporters have gathered at his home with a cake and are closely monitoring the results. An election counting marches on its stomach. 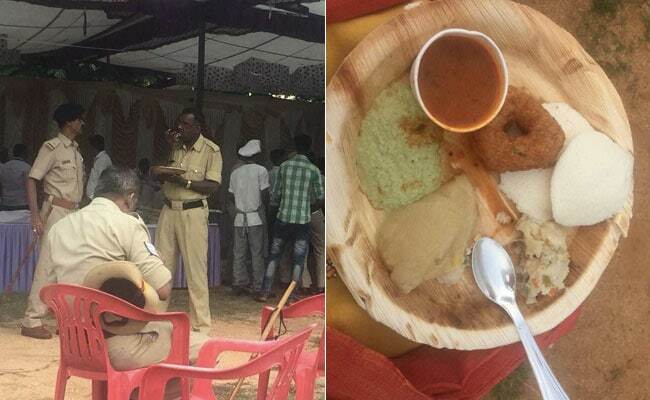 Breakfast scenes at a counting centre in Bengaluru south. Yogendra Yadav on NDTV: The election has been very noisy. The intention has been to barge, derail and distract. The policy was led by our venerable Prime Minister and followed by everybody. BJP's chief ministerial candidate BS Yeddyurappa is leading in Shikaripura. 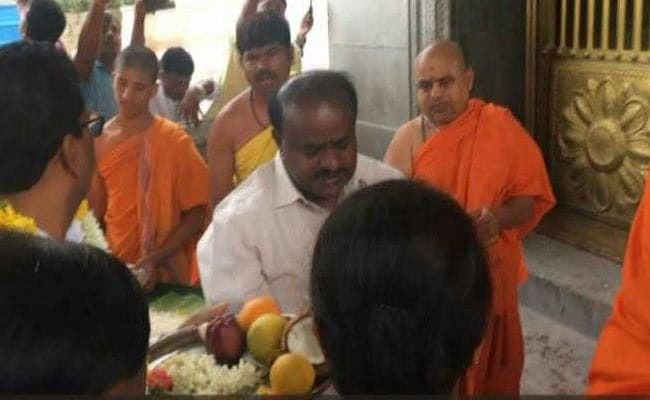 Meanwhile, Janata Dal Secular (JDS) chief HD Kumaraswamy is seeking divine intervention. Now, Siddaramiah is leading in Badami. BJP's B Sriramulu is leading in Badami from where Chief Minister Siddaramaiah of the Congress is contesting. 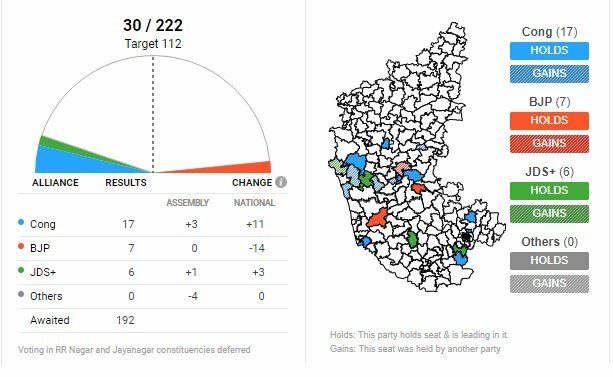 Karnataka Elections: Twenty minutes into counting of votes, Congress and the BJP are neck and neck. BJP moves ahead in early leads. It seems to be a close battle. The early leads put Congress ahead in Karnataka. Chief Minister Siddaramaiah's younger son Dr Yathindra Siddaramaiah is contesting from safe seat Varuna. He said, "Senior party leaders will decide on this(on possibility of post-poll alliance with JDS. But we are confident and hope to form government on our own. NDTV's Maya Sharma is bringing you all the live updates from this coutning centre in Bengaluru south. 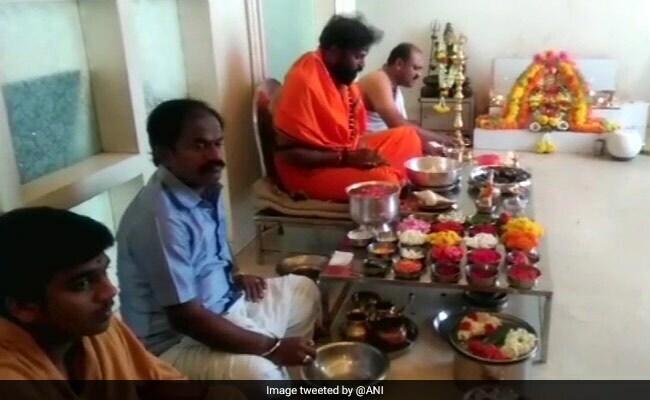 B Sriramulu, one of the most prominent candidates fielded by the BJP in the Karnataka election is seen praying before the counting begins. The 46-year-old parliamentarian from Ballari is contesting against Chief Minister Siddaramaiah of the Congress in the Badami constituency. He is also contesting from Molakalmuru near Ballari. 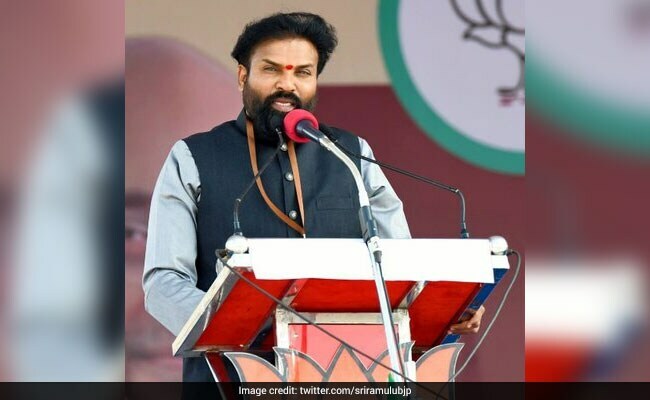 Mr Sriramulu is extremely close to the Reddy brothers, and their association has stayed intact through the ups and downs with the BJP. 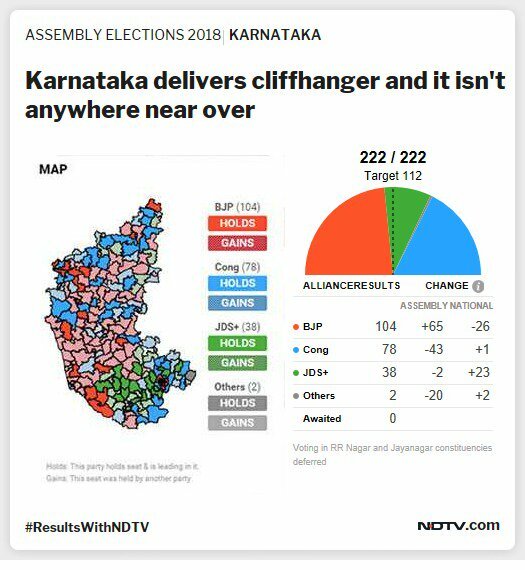 #ResultsWithNDTV : 9 exit polls for one state unheard of in any country, says Dorab Sopariwala as we wait for #Karnataka leads to begin. 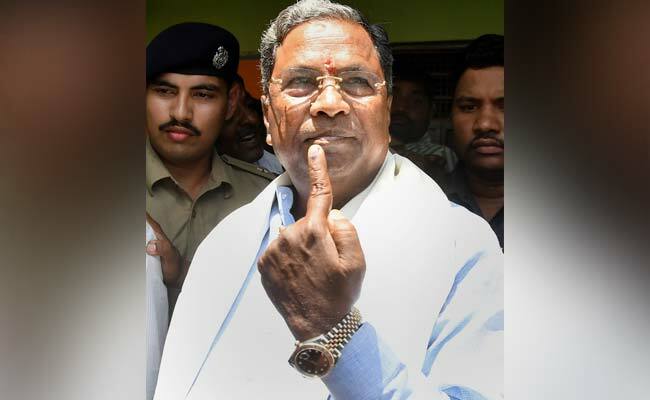 Karnataka election: Hours before the results for his election are declared, Chief Minister Siddaramaiah is getting hints of a possible termination notice -- from within his own party. "There are at least half a dozen chief ministerial candidates in our party," said G Parameshwara, a senior Congress leader from Karnataka, cheerfully confirming his own spot in the league of would-be's. "Of course, since the last election, I have been portrayed as an alternative or one of the chief ministerial candidates... let me also take a chance," the politician, who heads the Congress in the southern state, said. Infrastructure, traffic, garbage, pollution and of course, potholes will be a deciding factor in the 2018 Karnataka elections. The state capital Bengaluru has been in headlines after people lost their lives in accidents due to potholes. In one week, three people lost their lives. One woman, Radha Ajanappa, lost her life after being thrown under the wheels of a truck while she was riding pillion. 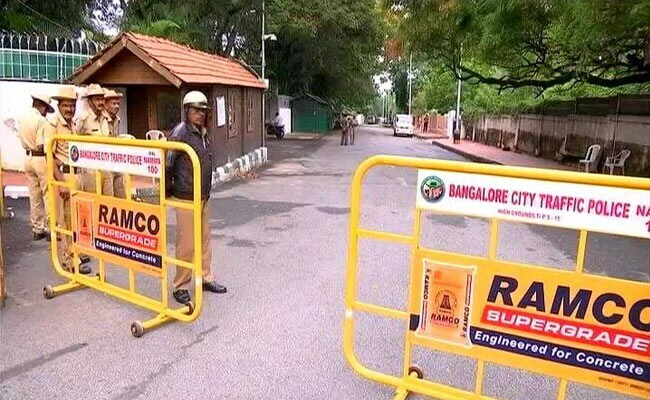 Calm before the storm: Scene outside Karnataka Chief Minister Siddaramaiah's official residence "Krishna" in Bengaluru's Golf Course Road. Extensive arrangements are in place ahead of the counting of votes. 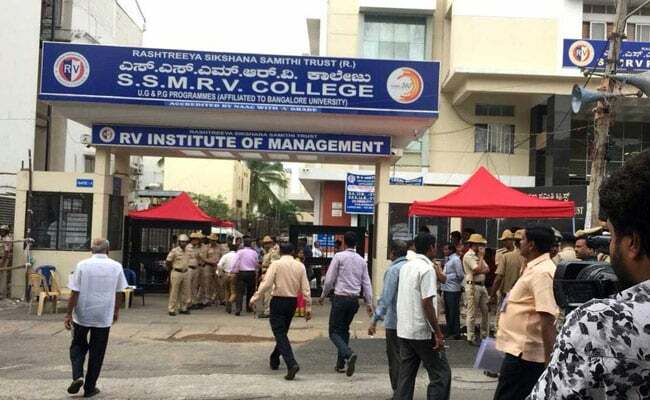 There are 38 counting centres in 30 districts of Karnataka, including five in Bengaluru.Security has been tightened around all the strong rooms where the electronic voting machines or EVMs have been kept. How can you watch Karnataka assembly election result 2018? Chief Minister Siddaramaiah of the Congress says while he is willing to stay on as chief minister for another term, he would step aside for a Dalit candidate if the party high command so desires. 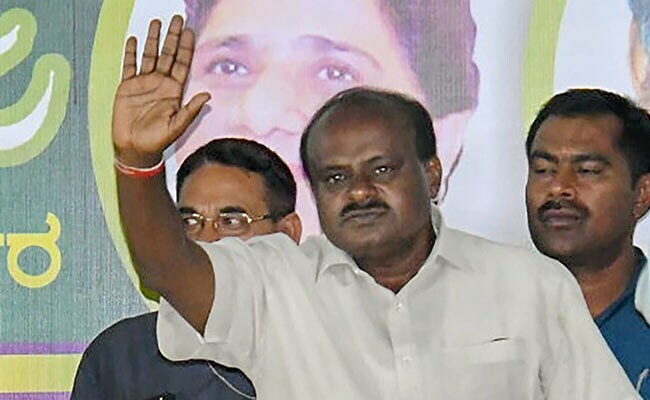 HD Kumaraswamy of the Janata Dal Secular says he will be "king" rather than kingmaker, indicating that he counts himself in the chief ministerial race.